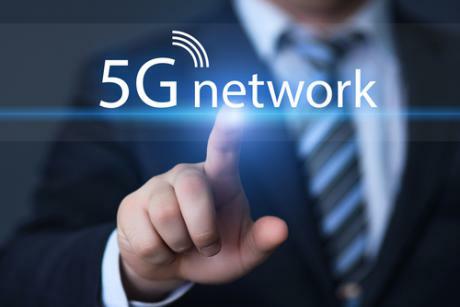 NEW DELHI: Finland based telecom giant Nokia and leading Russian telecommunications operator MTS Group have signed a collaboration agreement that will create a strategic path to the realization of 5G technology and the management of the ever-growing demands of connected people and devices. The companies will deploy a test network during an international sports event in Russia in 2018. It is estimated that the Internet of Things (IoT) will result in 10 to 100 times more connected devices than people, creating technological challenges, but also opportunities, for new services and applications. With this in mind, MTS has outlined a roadmap to evolve its networks to 5G. Together with Nokia, MTS Group will develop test projects that leverage 4G technologies such as LTE-Advanced Pro as well as 5G to enable faster speeds, lower latency and new spectrum efficiencies. In 2018, the two companies will implement a 5G test network in a Russian football stadium to allow fans to experience innovative video and other services during the major event being staged there. ” We are excited to leverage Nokia’s technology to help us transition to 5G and take full advantage of IoT. The joint projects and trials we will undertake will enable us to meet future data demand in the most effective way, and we look forward to showcasing this work in 2018,” said Andrey Ushatsky, Vice President and Chief Technology Officer at MTS. Nokia is involved in several 5G-related industry projects in Europe, including the 5G Public Private Partnership project 5G NORMA (5G Novel Radio Multiservice adaptive network Architecture) and collaborations with leading universities across the world, to make 5G technology viable and future-proof. The evolution of LTE provides operators new capabilities as they prepare for 5G. One example is LTE-Advanced Pro, which aggregates up to 32 carriers providing 640 MHz bandwidth using both licensed and unlicensed spectrum. The efficient use of spectrum allows network capacity to grow by up to 200 percent and latency to be reduced to less than 2 milliseconds. Nokia, MTS Group to collaborate on IoT and 5G in Russia 0 out of 5 based on 0 ratings. 0 user reviews.